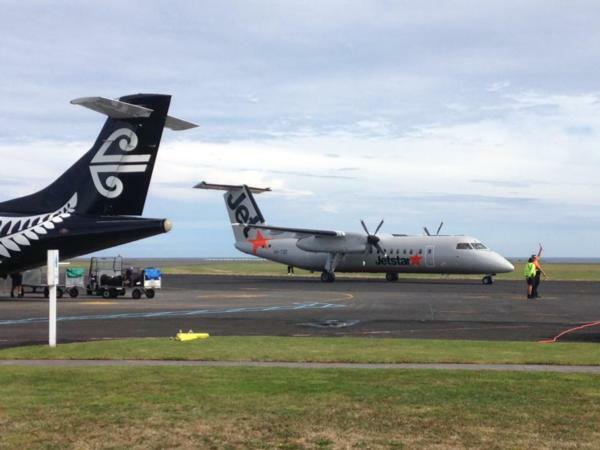 The addition of Jetstar flights to the Taranaki region have smashed passenger records at New Plymouth Airport. It’s been confirmed almost 70,000 more people flew to the region in 2016, compared to 2015 when Air New Zealand passenger numbers to the province were falling. The airport welcomed in 411,661 passengers in 2016 – up from the 340,000 passengers in 2015. The numbers had jumped by over 20% as a direct result of Jetstar’s three daily flights to Auckland. Jetstar CEO Jayne Hrdlicka said the airlines fare pricing can be thanked for the jump in numbers at New Plymouth Airport. Jetstar regional advocate Michael Riley said when the companies’ regional expansion began the airline added more than 600,000 seats to the domestic market. “The lower priced airfares, and more capacity mixed with a fabulous boost in tourism in Taranaki has seen many of the Jetstar flights completely sold out,” Riley said. Before Jetstar commenced services to New Plymouth average flight prices to Auckland with Air New Zealand were over $119 one way. Jetstar introduction prices were as low as $9, and one year on have begun to settle at as low as $29. Riley said Jetstar’s Return for Free Sale, and $19 Boxing Day Sale had been well received as well as the Friday Fare Frenzy. When questioned whether Jetstar would expand its current three flights a day schedule, Riley said it was hard to say. “It all depends on the demand, and of course if aircraft is available to service extra flights. It would be great to see a fourth service start up in the future as originally planned,” he said.